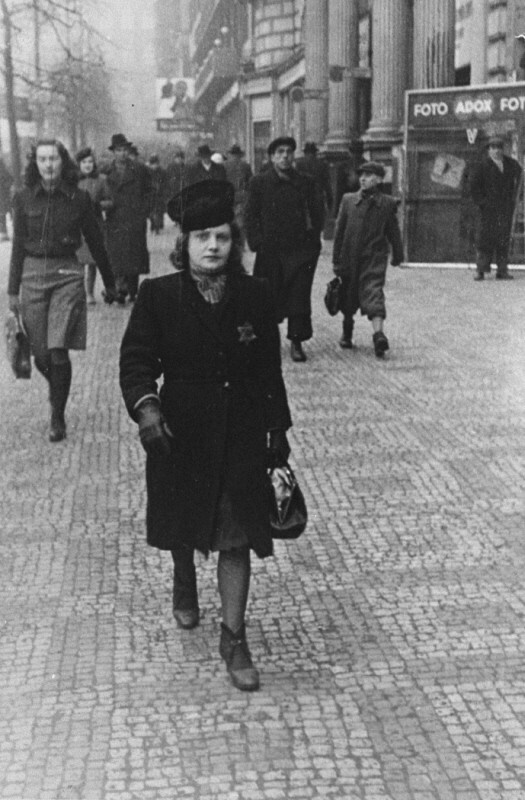 Elsa Eisner, marked with a Jewish badge, walks down a street in Prague. She, her mother, twin sister and other members of the family were deported to Auschwitz in July 1942. Prague, Czechoslovakia, ca. 1941.